These are the golden words uttered by the vice president of a political party in India.He was commenting about the women of Mumbai because they protested against the terrorist attacks. His name is Muqtar Abbas Naqvi. There was a public outrage against this gentleman. I pity this poor politician. After all, he just spoke from his heart and why are the people of our country getting irritated with a perfect man who speaks what his heart says? Our country is a democratic country and every person has the right to speak his views. Even his partymen disowned him. I strongly condemn his fellow partymen because they let him down.I talked about this issue with a few friends of mine and every one were against this man. That is when, I decided that I am not gonna let this minister down. As a matter of fact, I am the only person who understood his words. "Naqvi Sir! I salute you. You are indeed an inspiration. I do not care what others say about you. I truly respect your words and I promise to bash those who bash you." 3. Upload the corrected picture in your blog/myspace profile/orkut profile or where ever you can. Be a part of this noble venture.The picture below is my dedication. Feel free to join this venture.It is absolutely free. Renu used to tell me,"Never test the depth of the water with both feet. ".Now I have tested the depth with both my feeth through this post. I know this would incur mixed reactions from the readers. But I would like to see the reactions. I would also like to quote a very beautiful funny phrase I got as a text message. "A coincidence is when God performs a miracle, and decides to remain anonymous." I would appreciate if the readers don't perform any miracles in the comment box. Refrain from posting as anonymous.Have the courage to reveal your identity. Anyways this post is not a part of the Kiss-Chriz competition. Updated: Aayushi has done this photo and I wanted to add this here.Thank you Aayushi. i cannot see the lines written in blue. do change that. ha ha ha.. i was abt to bash u up..
New year, new look!!! Good post, I thought that the lipstick comment was one of the dumbest I heard even worse than Bushism or Sidhuism. ohhhhhhhh god!!!!!!! ur impossible :P i shalt join lipstick moment too.. I knew Naqvi was a two-faced rat the day I saw him on National Television! im going to do that for ur photo now ! how is the new year ! i see marrybrown behind ! not bad eh ! for nagercoil ! :p hahah lol...that was some lipstick :P..
welcome bac bro..missed ur opening post :)..
Naqvi is a joker and dis aint the oly buffoonery he has done,he's a veteran in such stuff..
no comments on this uber irritating personality..
you can highlight the lines and read.. anyways ill change it..
i know.. do not know if i would be bashed up by any one from the political scene! that is cochin.. and not nagercoil..we just have raymond show room in nagercoil.. nothing else..
dont blame my poor political friend.. he is good. you want to see a HORNY picture of mine? "mr naqvi tum lipstick lagao hum tumhare saath hain"
haha.. brother.. you are appointed as the president of the lipstick movemet because you are the one who has come up with the slogan for our political party..
the spokesperson would be aayushi because she came up with the tagline for our movement.. But I was quite puzzled with his statement, as I always thought of him as one the sensible politicians. yes i loved aayushi's more than mine.. thats why she has become the spokesperson of the lipstick movement..
lip gloss.. wow.. i will also use it..
yes! even my vote goes to aayushi's work... hail our spokesperson..
Lipstick movement. Agreed. Registering eh? Right wing or left wing? Or shall i assume you are jumping guns with a new straight wing? And is it like you might morph this Moveement into floating a political party? Ah, this really tickles the funny bone... And yeah you can have my lip glosses too! Ha... newyear and new style eh? a political movement can be aided with a renaissent force from a mob .. if you are ready to hop in, i would be more than happy..
which guy will sue me? its an honour that you paid a personal visit to my page..
wont i look good on it? if my favorite politician can look so hawt in it, wouldnt i look atleast a little warm.? Idhu dhane vendamnu solradhu!!!!! Aayushi has done a better job than you !!! :P I appreciate her efforts!!! 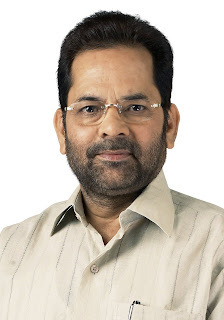 But er... if this is Naqvi in the making, how about black? black? i would look like a golliwog?why do you wanna do that to me? Imagine 'Naqvi the Golliwog'... Hmm... Sounds good! and i was wondering all through what was happening untill i sawthe lovely movement u have started!! thanks for coming here... this post is about talking sense in an insensible way.. and everyperson with an average IQ level will agree with me..
Will put that up on my blog soon. Not quite into the blogging *zone* yet. Lipstick movement .... LOL, but mr.naqvi deserves it after all!! !